These awards are for the women changing the game and breaking down barriers that stand before them. Almost a century after the Roaring Twenties we continue working for equal opportunities and representation. The pioneers of the women’s movement may no longer be with us, but as the leaders of yesterday make their exit, the leaders of tomorrow will rise. 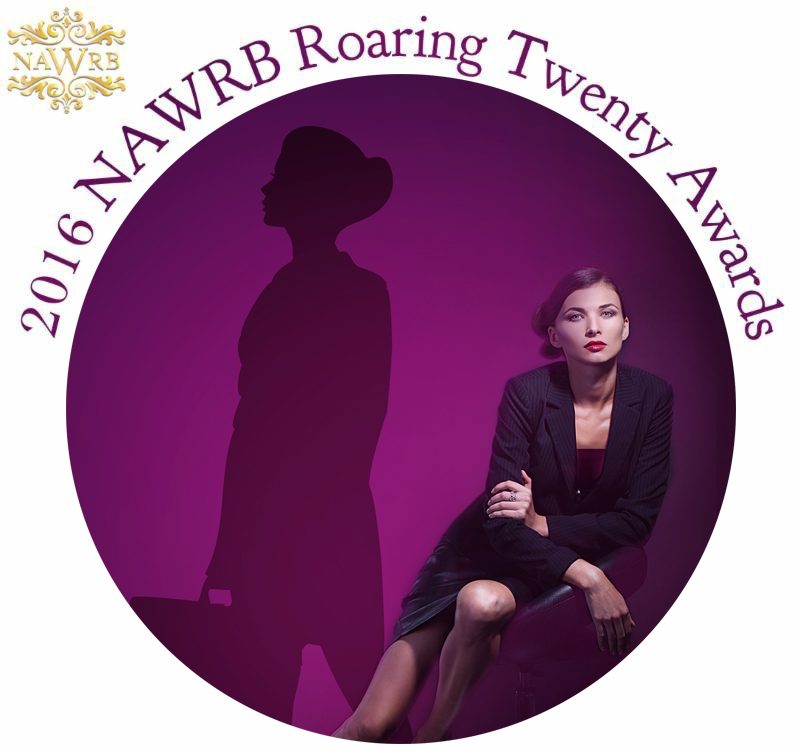 The best way to lead is by example and our Roaring Twenty Award winners are innovators eradicating the misguided stereotypes and obstacles burdening women today. These winners create success even under continually imbalanced and disadvantageous conditions, display the unlimited potential of women in business and set the stage for tomorrow’s female entrepreneurs. This woman is breaking ties with the traditional way of doing business and has chartered her own course for running a business. 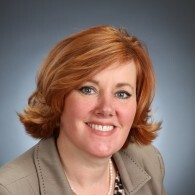 Amy is the Chief Operating Officer of Prospect Mortgage, the second-largest FHA 203K lender in the nation. In this role, Amy oversees all aspects of the company’s operations, including information technology, operations, credit, capital markets, training, project management, and more. 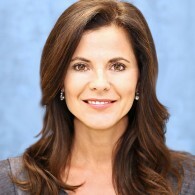 Prior to Prospect Mortgage, Mrs. Schumacher formed Vantium Capital, Inc. and Vantium Capital Management with Apollo L.P., served as the President and CEO of WMC Mortgage, and founded the Residential Servicing Coalition. She serves on the Board of Directors as Co-Chair of the Women’s Committee for the Institute of International Education’s Scholar Rescue Fund, and she sits on the Board of Directors of the AmeriCatalyst Idea Lab. 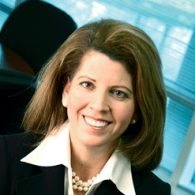 She has also served on the boards of SourceCorp, Inc., Bluebeam Software, Inc., and other privately held companies. Mrs. Schumacher is an expert in the mortgage and secondary market industry and has led both turn-around efforts and start-ups to profitability, spearheaded the sale of two companies, and participated in numerous capital markets transactions, creating tremendous shareholder value. This pioneering woman is gaining ground and making her mark in the world of marketing, branding her business to build a successful enterprise. 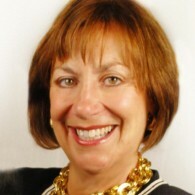 She is a 30+ year veteran of the real estate industry and was instrumental in building three major brands. Among her many achievements, she was recently recognized by Leading Researcher Real Estate trend watcher Stephan Swanepoel, as one of the 200 most Powerful people in Residential Real Estate, included in the top 10 most powerful women in real estate and she was ranked among the top 10 most powerful Real Estate Franchise Executives all for the year 2013, 2014 and 2015. Ms. Bonnell has been a featured speaker at the NATIONAL ASSOCIATION OF REALTOR’S General session as well as National Women’s Council of REALTOR’S in New Orleans in 2014. She has spoken to Ris Media’s top 500 Power Brokers and at their leadership Conferences, National and State Women’s Council REALTORS across the country, National Association of Real Estate Brokers, Inman News Connect Conference ,Xplode Conference, The 50th anniversary of the Civil Rights Act & Mass Fair Housing Conference. Along with several other national and local engagements, Ms. Bonnell hosts quarterly webinars educating the general public on real estate issues. She is a wife and mother of three and a grandmother of three, in her spare time she is a martial artist, coach, judge and referee. As a third generation Realtor ®, ReneeMarie has been in the elite Top Ten for the Solano Association of Realtors® for several years. Starting her real estate career in residential lending, ReneeMarie has superior knowledge and insight in real estate transactions from both selling and lending sides. Combining this experience and knowledge with an array of marketing tools gives buyers and sellers the advantage needed in today’s real estate market. ReneeMarie’s hands on approach keep buyers and sellers updated and informed during the entire transaction and beyond. 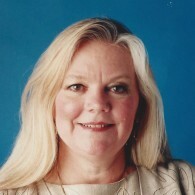 ReneeMarie holds the following designations: CRB, CRS, GRI, SRES, SFR, PMC, EPRO, and is also part of RE/MAX Gold 100% Club. Awarded to the woman who is on the rise, and whose cunning skills and business savvy has put her on the fast track to success. She has more than 15 years of experience in real estate investment, development and asset management. 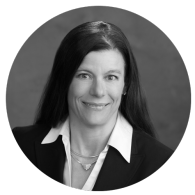 Prior to joining Altisource, Ms. Alexander served as the founding partner of an SEC-registered residential real estate investment fund sponsor and founder of a real estate development company, both based in Boston, MA. She started her career as a consultant at Accenture in the strategy division, specializing in the financial services sector. 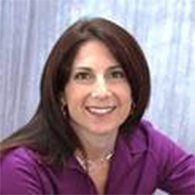 Ms. Alexander is a Massachusetts-licensed commercial general contractor and real estate salesperson. She holds a BA from Duke University and MBA from the Massachusetts Institute of Technology. 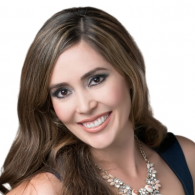 Victoria Blass commenced her real estate career in 2004 in the heart of Tucson, AZ, with the sole ability to foster such from her mother’s small inheritance generated from the sale of the house her mother raised her in located in a lower-economic area called Maryvale in Phoenix, AZ. Her ex-husband started real estate one year prior, and despite being the sole provider to support their family’s real estate journey, she quit with the tenacity, feeling and strive to succeed in the real estate industry. Thereafter, the team they formed consistently generated positive income with the endurance to become the top agent in the company. Accomplishments over her tenure include a nomination for the top 30 of 30 in the nation from the Arizona Real Estate Commissioner (former owner of the company of which they held their license), selection as panel presenter by the Arizona Real Estate Commissioner to train the industry on forward trends, selection by Fannie Mae Management to train other realtors® due to exceptional service, with her work being used as a national model for training as well. This was all during pregnancy and having a toddler (SaDee) that was ordained as part of the team (well at least SaDee went to the office daily and listing appointments), coupled with driving 2 ½ hours one way for her older daughter, Paris, to Scottsdale weekly to perpetuate her dreams of winning a ring in worlds for competitive cheerleading. After working 12-14 hour days to accomplish her and her family’s goals, she was naturally ready to progress to her next lifetime goals and pursued law school. As a result of working more than the permissible amount per American Bar Association, she chose to attend a part-time law program, Arizona Summit Law School in Phoenix, 2 ½ hours away from her home in Tucson. Education was a priority in her life as her mother had a 6th grade education and growing up in an impoverished area, Maryvale (being the root of the National Fair Housing Alliance study to show foreclosure fair housing discrimination) was not the way she would maintain her life and future family. Prior to her law school tenure, her and her ex-husband formed a real estate company with Victoria being the Designated Broker. Thereafter they divorced but maintained as business partners. During this effort, she migrated to co-own RE/MAX Results with another phenomenal lady, Sharon Ellsworth, as they maintain the largest RE/MAX in Southern Arizona. Of course during Victoria’s real estate business development she has maintained a Woman Minority Owned Certification understanding the relevance of this accomplishment and specialty. Victoria will be working with the general counsel, Scott Drucker, at the Arizona Association of Realtors developing training and resource platforms for state application next month. Other law experiential base includes assisting the homeless in Phoenix with pro se assistance for legal matters to perpetuate the goal of home stability. This woman's passion for business has led her to break the barriers that cross her path as she creates new roads and opportunities. My calling has always been Real Estate. I bought my first house when I was 20, moved in a couple room mates, and the rest is history. I have owned two brokerages and mentored over 200 people in the business. My real love (just behind being a Mom) however, is helping clients buy and sell their homes. I take great pride in being able to help members of my community sell their homes; but I also have helped dozens of people save their homes when the market collapsed a few years ago. I lost my husband to cancer in 2003. I had one child in college, two in high school, and one in elementary school. Owning a real estate business allowed me to continue being the soccer mom I had always been, and still be able to support my family financially and pay for colleges. I am so grateful for this recognition, and hope to be an inspiration to women in Real Estate. CEO and Founder, XINNIX, Inc. This woman is changing the perception of entrepreneurial women. With more than 20 years of diverse retail mortgage banking experience, Casey is an incredible source of information and a powerhouse in the industry. Casey's broad industry experience includes sales, operations, human resources, training and executive management. Casey has served as Executive Vice President of a $4 billion super regional mortgage company and earned recognition as one of the highest ranking female executives in the industry. As the chief designer and architect of the most proven and highly acclaimed mortgage training programs in the country, Casey has positioned XINNIX as the nation's number one mortgage academy. Veterans throughout the industry rave about Casey's business development and leadership programs as they reach unparalleled levels of production. 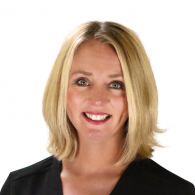 Since establishing XINNIX in 2002, Casey has recruited and led talented men and women from diverse industries to help XINNIX earn recognition in 2004 and 2005 as one of Atlanta Business Chronicle's top businesses to work for. In addition, the National Association of Business Resources named XINNIX as one of Atlanta’s “Best & Brightest Companies to Work For” from 2012 through 2016. 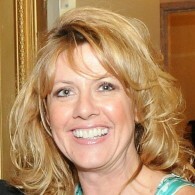 The 2005 Atlanta Women's Pacesetters List recognized Casey as the city's fifth most influential female business owner. 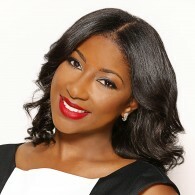 She was named one of the Top Female Entrepreneurs by Atlanta Woman Magazine in 2006. Most recently, she was named one of HousingWire’s Women of Influence in 2015. In addition to leading a thriving company, Casey is a national keynote speaker and consistently receives outstanding reviews from industry executives and their audiences. Her knowledge of the industry and exposure to thousands of mortgage companies and leaders allows her to speak first-hand about industry trends, best practices and growth strategies. She is a member of the National Mortgage Bankers Association, Mortgage Bankers Association of Georgia, and the National Association of Professional Mortgage Women. Elizabeth K. (Betsy) Julian is currently Founder/Senior Counsel of Inclusive Communities Project, a Dallas based non-profit working for the creation and maintenance of racially and economically inclusive communities. From 1994 to 1999, Ms. Julian served the Clinton administration at HUD as Deputy General Counsel for Civil Rights, Assistant Secretary for Fair Housing and Equal Opportunity, and Secretary’s Representative for the Southwest Region. Prior to joining the Administration she engaged for 20 years in the practice of poverty and civil rights law in Texas. ICP successfully defended disparate impact as a legally cognizable theory of liability under the Fair Housing Act in Texas Department of Housing and Community Affairs v. Inclusive Communities Project, Inc., 135 S.Ct. 2507 (2015). Awarded to the woman who has continued to show growth even in times of adversity and strife. Toni Moss is the founder and CEO of AmeriCatalyst LLC and EuroCatalyst BV, “sister” advisory firms with specialized services for investors and companies engaged in housing finance and Single Family Rental (SFR). She is also Chairman of the Board of The AmeriCatalyst Idea Lab, a non-profit which generates viable ideas to stabilize and sustain the housing market. 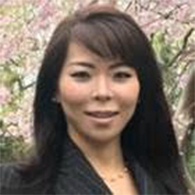 Toni is a unique force in housing and real estate; with an entrepreneurial background in corporate intelligence, strategy, market positioning and trend forecasting, she is both a catalyst and connector to move agendas forward. With hands-on operational and senior management experience in 18 national mortgage markets around the world, Toni is one of few experts with a truly global perspective on the industry. In one of the most important roles of her career, From 1996 to 2001 Toni was the Director of Corporate Development for Bouwfonds in the Netherlands. In that role, she was instrumental in facilitating the first mortgage securitization in Continental Europe, and was pivotal in creating the first and largest third-party, cross-border servicer in Europe. From 2001 to 2009, she was responsible for some of the largest new market / cross border entries for firms engaged in investment banking, mortgage origination, mortgage servicing, mortgage insurance, and title insurance. 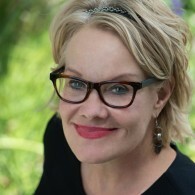 Frequently among the first to identify significant trends and articulate their impact, she is known for calling a series of international government meetings and giving industry-wide presentations and interviews (beginning in 2001) to draw attention to the role of international housing finance and investment as “the epicenter of the global economic fault line”. She believed that this role, in combination with over-leverage and the accelerating forces of globalization were likely to cause an unprecedented global economic fracture. Jeannette Fuentes serves as the Broker and Owner of RE/MAX Top Producers with offices in the cities of Diamond Bar, Chino and Brea, California. Jeannette was born and raised in Guadalajara, Mexico. She migrated to California with her family when she was 11 years old. She learned about work ethics and hard work at a very young age through her parents. Within 2 years of being immigrants in the United States they bought their first home in Chino Hills. Her business mindset came from her parents which were always business owners. In Mexico, they owned a grocery store and since the age of 9 years old, Jeannette would help out with the cash register and inventory. Jeannette’s passion to succeed comes natural and she feel her parents gave her a milestone that she needs to surpass for the next generation. With a BA in Broadcast Journalism and a minor in Sociology from Cal State Northridge, Jeannette graduated with honors and received 1st place in the Mark of Excellence for In-Depth Reporting from The Society of Professional Journalists. At a young age, Jeannette had an entrepreneur mindset and helped her family run their business. From accounting, payroll, marketing, customer service and daily managing of the restaurant Jeannette was always hands on. At the age 24, Jeannette and her mother opened Crazy Coyote Restaurant in Chino Hills. After receiving an amazing offer for the restaurant, Jeannette sold the business that her and her mother started. This is when Jeannette’s journey started in Real Estate, as a buyer’s agent for The Dream Team with Century 21 King, a successful Real Estate team in the area. Jeannette quickly became the #1 buyer’s agent on the team and shortly after, partnered up with her now husband to manage his team of 4 agents and 3 staff members. Jeannette and her husband Christian, have owned REMAX Top Producers in Diamond Bar for over 5 years now, and have over 90 agents, 12 employees and continue to grow. With their 3rd location opening soon in the City of Brea, their goal of growing the company to over 120 agents is quickly approaching. Besides running a Real Estate office, her and her husband have flipped over 300 homes and own approximately 28 investment properties. Jeannette is big supporter of Children's Hospital of Los Angeles. She not only supports the hospital with generous contributions throughout the year, she donates her time and is an active committee member within the organization. Jeannette feels passionate about being able to help children in any way possible. It is something that is very near and dear to her heart. Jeannette has stated that one of the reasons she has such strong desire to support this organization is, “Because children never get denied Healthcare even if they can’t afford it. A big part of this is because of all the donations! Agents in our office also have the option to donate directly from their commission checks to the hospital.” Jeannette has organized and hosted the annual REMAX Top Producers Poker Tournament where all funds are donated to Children’s Miracle Network. Last year, the event raised over $30,000! In 2014, Jeannette was awarded the Community Service Award by The Citrus Valley Board of Realtors for her fundraising events throughout the year. Jeannette was nominated to be the Vice President and President Elect of the National Association of Hispanic Real Estate Professionals (NAHREP) Orange County chapter which helps educate and bring awareness to our realtors and consumers. 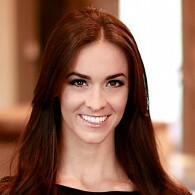 Pursuing her passion of motivating others in the industry, Jeannette founded Real Estate in Heels in January 2015, which originated as a ladies mastermind group, and has now developed into a group of local women in the real estate profession, regardless of their office affiliation, who meet monthly and quarterly to motivate and inspire one another. With over 10 years in Real Estate, Jeannette manages the daily operations of the business and takes big pride in keeping a positive, family oriented and driven environment. Jeannette sincerely cares about all of her agents and clients. Jeannette launched Legacy First Escrow, Inc., a DBO escrow company that services San Bernardino, Riverside and Orange counties. Awarded to the woman who is a visionary. She sees past existing limitations and strives to build a new tomorrow. As Sindeo’s Chief Industry Officer, Ginger Wilcox is at the forefront of the innovation that is taking the mortgage space by storm. Sindeo’s value proposition calls for leveraging technology to streamline the mortgage application process for consumers, while offering access to a deep marketplace of lenders selected to fit each borrower’s unique financial situation. A startup veteran and recognized leader in the real estate industry, Wilcox is involved with almost every aspect of the business, from driving strategic partnerships to hiring and recruitment to developing company protocols to implementing marketing strategy and running social media campaigns. As a result of Ginger’s efforts, Sindeo was recently named to REach® Real Estate Accelerator’s Class of 2016 by Second Century Ventures and the National Association of REALTORS® and was named one of the 2016 Bay Area Best Places To Work, an awards program presented by the San Francisco Business Times and the Silicon Valley Business Journal. 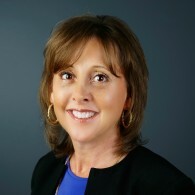 Befitting her status as an industry thought leader, in 2015 Ginger was named one of HousingWire’s 2015 Women of Influence, National Mortgage Professionals Magazine’s 25 Most Connected Mortgage Professionals and Inman News Top 101 in Real Estate. 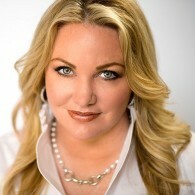 This year MoneyTips named Ginger America’s Most Influential Mortgage Expert for California. Ginger has also become a much sought after speaker on the issues of technology and innovation in real estate and home financing, appearing most recently at the 2016 AFIRE Conference, National Association of Realtor’s Broker Summit, as a featured presenter on #RECAPTIVATE, at Hawaii Life's Worthshop Conference, California Association of Realtors Expo, and as a featured speaker at Inman Connect San Francisco, Inman Connect New York and Inman Select Live. Kris Miller is the founder & CEO of Healthy Money Happy Life, a financial literacy and wellness company. She has helped over 6,000 families avoid financial disaster by strategically planning for their futures. Her clients dramatically improve management of their current finances and discover unique and imaginative ways to save, invest and plan for a happy life including retirement. None of her clients has ever lost a single penny on her watch. She works with a wide variety of businesses to create financial wellness programs for their employees, typically providing and ROI of $3 for every $1 invested. 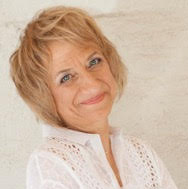 Kris is the author of the #1 bestselling book, “Ready for PREtirement: 3 Secrets for Safe Money and a Fabulous Future.” She is a highly sought-after speaker and trainer for small and large companies. When she’s not consulting with families and businesses, she mentors teenagers on how to prepare for a thriving future, both financially and spiritually, through “Motivating the Teen Spirit,” an organization changing the lives of youth. Kris is the owner of Trusts Unlimited and has been nominated for Woman of the Year and Best Customer Service by the Chamber of Commerce of Hemet, California. Her newest program, Create Income You Will Never Outlive, is offered online or through live workshops. This woman tirelessly gives back to her community, successfully swinging between her professional and personal life. She never sacrifices the time she donates to charitable organizations and her local community. Britnie Turner founded Aerial at the age of 21 with the mission of elevating people and places. Britnie has since formed multiple companies under the Aerial brand all accelerating the mission by empowering people, sustaining the planet and utilizing capitalism as a force for good. Through the success of her companies, Britnie is resetting the standard of what is possible for women and young people across the globe and has won several national and international awards for speed of growth, innovation and trajectory. Aerial’s commitment to a triple bottom line approach is proving that conscious business is not only viable but the way of the future. Donna VanNess is the President of Tarrant County Housing Partnership (TCHP), a certified 501c(3) housing non-profit organization with CHDO (Community Housing Development Organization) status to address critical revitalization needs in targeted areas of North Central Texas. Donna has worked with the agency since 1995, and served as a volunteer on the executive committee of the board of directors for more than eight years. She became the executive director in 2007 and president in 2009, and has led the her housing team to successfully complete over $7mm in projects under the Neighborhood Stabilization Program, assisting neighborhoods hardest hit by the foreclosure crisis. 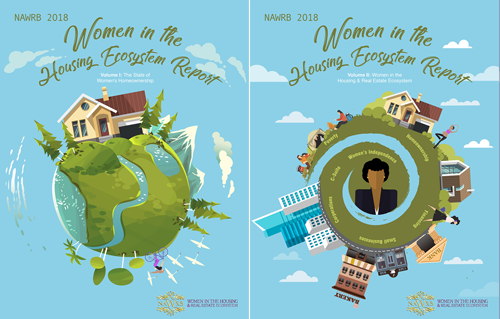 Under her leadership, the production of affordable housing redevelopment has tripled, which has led to significant gains in revenue and a substantial increase in the sustainability of the organization. In her capacity as the president, Donna serves on the board of directors for the Tarrant County Homeless Coalition and the Community Design Center of Fort Worth and is a member of the Housing Partnership Network. This woman is writing a soundtrack for success while mentoring fellow members in an effort to foster and grow new talent. It’s important to give mention to Patty Arvielo’s humble beginnings in order to fully understand her unique business perspective and leadership role in the housing industry. Born into a hard-working Mexican-American family from South Gate in L.A. County, California, Patty’s first exposure to the mortgage industry was as a young girl. At just 16, Patty landed a clerical position for TransUnion Credit. At 19, she was promoted into a sales position. Patty worked tirelessly to build Real Estate Agent and community relationships and doing so, ignited a life-long passion for service and pursuit of self-made, enduring success. Over a decade later, Patty has worked to transform New American Funding into a national mortgage lender and servicer that funds more than $900 million in home loans each month. Under her guidance, the company has brought the entire loan process in house - origination, processing, underwriting, funding and servicing. 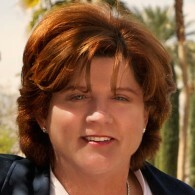 She continues to actively contribute to the bottom line, originating and booking millions in home loans each month on her own, all while managing operations and sales for New American Funding’s headquarters, 100+ branches and 2000+ employees.Patty’s community involvement includes serving on the Executive Board of Big Brothers Big Sisters (BBBS) Orange County. Patty has also worked, through her board seat with BBBS, to bring a new mentorship program in house to her company, New American Funding. In the years following, Patty assumed a natural, often unofficial, role as orchestrator and champion for her sales teams and colleagues. She challenges her teams to take on new projects with confidence and determination. She gets to know the people she works with, genuinely befriending even competitors unable to resist her approachable demeanor and infectious love for helping others.Patty’s extensive background in mortgage lending includes DE Underwriter and VA LAPP Certifications. Very early on, Patty pursued her own underserved Spanish-speaking markets well before they were a popular and sought after demographic. In 1997 Patty was invited to lead the operations unit of an independent broker shop, and in 2003 she and her husband Rick Arvielo decided to launch their own mortgage company – New American Funding. Patty is deeply involved in the National Association of Hispanic Real Estate Professionals (NAHREP), whose mission is to increase the rate of sustainable Hispanic homeownership by empowering the real estate professionals that serve the community. She serves as a member of NAHREP’s Corporate Board of Governors and has inspired seven of her New American Funding management level employees to obtain local chapter and board positions with the same group in their areas. In spring of 2013, Patty spearheaded the Latino Focus Committee within her organization, whose mission is to identify and address challenges Hispanic consumers face in their pursuit of homeownership and to enhance the quality of their lending experience. Patty is also on the Diversity and Inclusion Committee and the Consumer Affairs Advisory Council for the Mortgage Bankers Association. She is politically involved in the current and future states of mortgage banking, and frequently visits Washington DC to lobby on behalf of the mortgage industry and homeowners. She also serves as a member of the Fannie Mae Affordable Housing Advisory Council. Additionally, Patty resides on the Freddie Mac Community Lender Advisory Board which provides a forum for constructive dialogue between Freddie Mac and its customers. Patty is the recipient of numerous accolades and recognition for her professional achievements. Among them are her selection as a finalist for the 2016 Ernst & Young Entrepreneur of the Year award, winning a Silver Stevie® Award for the Woman of the Year category, and NBC Latino’s recent feature highlighting her life. Patty continues to lead by example, shaping both New American Funding and the housing industry overall. Awarded to the woman who is continually advocating for the rights of women in business. She brings more than 20 years of mortgage origination, community and consumer housing communications and solutions, working with the nations largest banks. 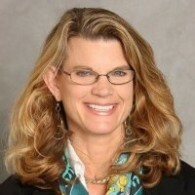 She also has significant default servicing industry expertise, and operations, production, and project/change management (Lean Six Sigma) leadership experience. Steele was the national mortgage outreach executive for Bank of America, where she also managed default servicing management within home loans servicing and was head of national servicing and centralized retail mortgage sales. She has led many of the mortgage process improvements and projects related to controls, risk and compliance, as well as implementation of many of the new requirements for Dodd Frank and the Consumer Financial Protection Bureau. 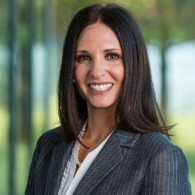 She most recently founded and was CEO for the Steele Advisory and Services LLC, where she led the strategic and business development efforts for several strategic national servicer and vendor management companies. Diamond Realty Brokers is one of the few minority & women owned real estate brokerages licensed in multiple states. The visionaries mission is to influence the landscape of minority luxury, lifestyle & commercial real estate professionals. In addition to providing residential real estate services, Diamond Realty Brokers is licensed in multiple states (GA, FL, TN, SC & NC) so that clients with unique commercial & management needs can work with one Real Estate Agency for multiple services. Diamond Realty Brokers has consulted & managed over 4100 Real Property Assets totaling nearly $300 Million from Multi Family, Senior Housing, LIHTC Properties, REIT's, Single Family Corporate Portfolios & Commercial Real Estate. Angel Knight has sold many New Home Communities for some of the Top Builders in the southeast region. She has received numerous Awards from Certified Professional New Home Builders where she sold & listed hundreds of new homes since 2002. The Broker, Angel Knight served on the Atlanta Board (ABR) & Habitat for Humanity 2014 committee, in support of the build for a deserving family. Angel Knight is also a published Author. Read more about Angel’s story in Atlanta’s People You Need to Know Magazine featuring women business owners. Angel Knight is also an Honoree in Who’s Who Black Atlanta 14th & 16th Edition. Angel Knight was featured as one of the Top 25 Women of Atlanta for Rolling Out Magazine’s Female Success Factor 2015. Angel Knight is also Founder of AGENTS Who Brunch. AGENTS Who Brunch is a Real Estate Network & Philanthropy Brunch created for AGENTS, REALTORS® & BROKERS. AGENTS Who Brunch mission is to create a national presence for Real Estate influencers who have a philanthropic moral compass beyond selling real estate but socially & economically empowering communities by uniting our interest as professional influencers. For those who ask why? It’s simple. As a Georgia State University Sociology graduate, Angel Knight believes that if we’re not part of the socioeconomic solution then we’re part of the socioeconomic problem. When Agents, Brokers & Realtors can help women get back into the workplace, we create better stable communities. AGENTS Who Brunch pre-launched in 2015 and donated professional dresses to the nonprofit “Dress for Success” to empower economically challenged women to get back into the job market with confidence. AGENTS Who Brunch doesn’t require any particular board affiliation to be involved but rather a desire to INFLUENCE, UNITE & EMPOWER communities economically. Diamond Realty Brokers is a member of the National Association of Realtors NAR, Atlanta Board of Realtors ABR, Georgia Association of Realtors GAR, Tennessee Association of Realtors TAR, Greater Nashville Association of Realtors GNAR, local Multiple Listing Service MLS, Georgia MLS GAMLS, First Multiple Listing Service FMLS and Realtors Property Resource RPR. This is a woman succeeding in her competitive industry, embodying women's power and paving the way for tomorrow's women entrepreneurs. Shannon is responsible for delivering technology and integrated process solutions that align with clients’ strategic visions and ensuring overall client engagement success. She brings over 17 years of mortgage and real estate-focused experience, with expertise in marketing, technology implementation and consulting. As both a woman leader and technology expert in our organization and in the real estate industry, Shannon is an inspirational innovator. Prior to joining Equator in April 2009, Shannon was the Founder and Principal Consultant at Market Share Solutions, a marketing and solutions implementation firm in the real estate and mortgage space. She also served as a Director of eCommerce at Coldwell Banker, The Herman Group and as Vice President of Agent Services at RE/MAX Communities. This woman is innovating the way of conducting business and has forged her own path as an entrepreneur. This leading woman illustrates the power of marketing and branding in showcasing the quality of your business. The only thing more impressive than the way she advertises her business is the company itself. This award goes to an up-and-comer; an entrepreneur whose success is only a matter of time. Showing a way of doing business different from the established players, this woman proves that there is always room for innovation. This woman is a testament to women’s ability to be capable, successful leaders. Tearing down roadblocks, this awardee is changing the business world for women. A revolutionary, like Coco Chanel in the world of fashion, this woman is disproving misguided stereotypes and changing the way entrepreneurial women are perceived. If we were to describe this woman in one word, it would be perseverance. No broken economy or fluctuating market can keep this woman from success; she creates growth regardless of the circumstances. This is a woman ahead of her time who not only solves today’s problems, but addresses the issues of tomorrow as well. She turns negatives into positives and doesn’t let the absence of a well-traveled path keep her from making her own way. This woman is dedicated to helping others, successfully balancing her professional and personal lives in order to do so. From donating her time to her hard-earned money, she defines the meaning of giving back to your community. Realizing the importance of leading by example, this woman provides mentorship avenues for the generations of tomorrow to follow in her confident footsteps. This award goes to a woman who is concerned just as much about the professional welfare of others as her own. A steadfast advocate for the rights and opportunities of female entrepreneurs, she remains a strong voice in the fight for equality. This is a woman succeeding in her competitive industry, embodying women’s power and paving the way for tomorrow’s women entrepreneurs.